Of all of the weight loss products available on the market, none are as misunderstood, improperly marketed, and as misused as fat burners. These controversial pills and powders are meant to be taken in order to drop body fat and suppress your appetite while maintaining muscle tissue. Many of them work, but far more do not. This page is your guide to navigating the "dirty weight-loss-pill waters" that infest the internet, and help separate the stars from the scams. For an even more detailed guide on choosing the right one, see our blog post titled What is the Best Fat Burner.. for YOU? w/ Top 10 List. Lots of products are marketed as "fat burners," but not all of them work by actually burning fat. In terms of supplements that do burn fat either increase metabolism, or mobilize fatty acids for use as fuel. Either way, there is no magic pill — or supplement — you can take that simply burns off fat with no effort on your part. An authentic fat-burning supplement must be paired with proper diet and regular exercise, especially if you want to retain muscle. 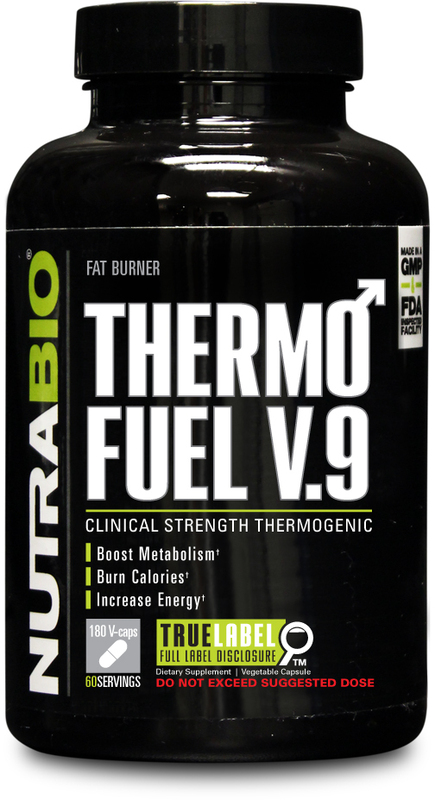 A thermogenic fat burner simply elevates your metabolism on its own. 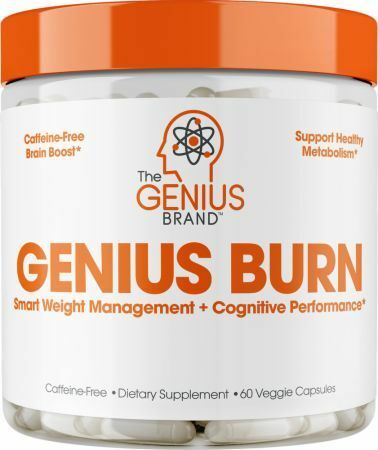 Strong doses of thermogenics are about as close to a "magic-fat-burning-pill" as science can get. They elevate your ability to burn calories without requiring an increase in physical activity. However, a thermogenic on its own is not likely to help you take off fat because the body doesn't draw its energy solely from fat stores. Thermogenics also increase your risk for side effects, ranging from unpleasant (nervousness or stomach upset), to outright dangerous (irregular heartbeat or dangerously elevated body temperature). These can really help if you have food cravings above and beyond your daily nutritional needs. They're especially helpful if your goal is to eat below your basal metabolic rate (BMR). But as with thermogenics, simply reducing calories without eating healthy and regular exercise is unlikely to promote significant fat loss. We've talked a little about how the body draws energy from sources other than fats — for example, from glucose in the blood, glycogen in muscle tissue, and even from breaking down muscle tissue. Lipolytic agents are designed to specifically mobilize the body's fat stores for use as energy. Diuretics target water weight, which can temporarily make you look slimmer. They don't actually burn fat at all. But that doesn't stop some companies from marketing them as "fat burners," thanks to the aforementioned lack of supplement regulation. MMA fighters, bodybuilders, and boxers sometimes use diuretics to reduce water weight prior to competition weigh-in. However, they are not appropriate for lasting weight loss, especially if your goal is to improve your health. Diuretics can also have very dangerous side effects when used for long periods of time. Unfortunately, with the almost total lack of regulation, it's like the Wild West out there, as far as "fat burning" claims go. The FDA does step in on occasion and ban the sale of supplements that have shown to be a public safety issue, such as ephedra and synthetic DMAA. Fat burners that are merely ineffective continue to be produced, sold and even endorsed and promoted by people we're supposed to trust, such as Dr. Oz and Oprah (raspberry ketones and acai berry are two prominent examples of "miracle fat burners" that were featured on their shows. Neither supplement ever demonstrated any actual efficacy for weight loss or fat burning in human studies). Fat burning supplements will frequently contain some combination of these different methods, or will stack with products that offer a different, but complementary, effect. For example, ThyroTwin by Giant Sports is a thermogenic thyroid enhancer that stacks with their lipolytic stimulant Dexamine. It is extremely important that you do not mix multiple stimulant-based products. For example, fat burners that contain stimulants should never be taken with pre-workout supplements, coffee or tea, or other caffeinated beverages, such as energy drinks. Caffeinated fat burners typically have a strong dose of caffeine. Taking any more could increase your risk of feeling jittery, agitated, or nervous. Fat burners can further be subdivided into those that have added stimulants and those that don't. Stimulants don't do anything in particular to help burn fat, but they tend to make you feel energetic as soon as you take them. The extra energy motivates you to push through a workout. Since stimulants can also make you feel overly anxious, stimulant-based fat burners may worsen your mood and have been known to interfere with motivation. The primary purpose of caffeine is to produce a quick jolt of energy. But it also has minor thermogenic and lipolytic effects. In small to moderate doses, caffeine has almost no downsides, unless you're sensitive to it, which is why it's a popular ingredient in fat-burning supplements. However, caffeine reaches its maximum thermogenic and lipolytic effects at very moderate doses — more does not equal better. Whey protein is often used by bodybuilders as part of a workout formula to gain mass because high-protein diets have been shown to promote lean muscle mass while reducing fat mass. While any high-protein diet (in tandem with regular workouts) will theoretically promote lean muscle growth and limit body fat storage, whey protein concentrate is popular because it's very low in fat and carbohydrates. It's also relatively inexpensive to produce (it's a cheese byproduct). Since whey has some lactose, those who are intolerant can take whey protein isolate instead, which is further filtered to remove 100% of lactose, as well as fat. Tea extracts come from green and black teas. They contain some amount of caffeine, but also the compounds EGCG and polymerized polyphenols. These can reduce fat storage and increase fat oxidation. Capsaicin is what gives chili peppers their heat, and has a thermogenic effect. You'll find it in a lot of fat-burning supplements, or listed as cayenne pepper extract (in which case capsaicin is the active ingredient). Drop Factor is a fat burner by MTS Nutrition. MCTs are a form of saturated fat that is sent immediately to the liver for processing. Unlike other saturated fats, they cannot be stored as body fat. They're often used as a stimulant and a metabolic booster, but because they give you a feeling of satiety that's similar to other saturated fats, MCT oils can also be used as an appetite suppressant. Lots of products are marketed as "fat burners," but not all work by actually burning fat. You should expect to see some bad apples and shady marketing practices in the weight loss industry. The sad truth is that many fat-burning ingredients are nothing more than massive marketing scams based on extremely poor science. These scams are built on layers of manipulative studies, exaggerations, and lies, with everyone profiting handily — except for you. The fat-burning characteristics of raspberry ketones were found exclusively in studies involving rats given impossibly large doses (and even still, the fat loss was minimal). [4,7] Of course, that wasn't mentioned in most of the marketing materials. See our Raspberry Ketones page for more information. Recent human studies on African mango have been entirely funded by supplement manufacturers. The positive results are possibly attributable to the fruit's very high fiber content, rather than any special weight-loss qualities. Our African mango page breaks down the studies in further detail. This supplement showed some positive results in studies involving obese patients, but has yet to show any results in patients who are more normally overweight. CLA has been sold as a fat burner for over a decade, and the advertising pitch keeps shifting as claims are systematically debunked. It has been marketed for everything from "targeted fat burning" to "burning fat while you sleep." CLA has shown significant fat reduction in certain rat studies,[6,9] but so far, there are no human studies to substantiate these claims. Acai berry was promoted on the Dr. Oz Show and The Oprah Winfrey Show, but when its health claims were debunked, the celebrities sued the supplement manufacturers that claimed they endorsed it! Acai berries have a significant amount of omega-3s, but so do a lot of foods. Acai berry has not yet been shown to do anything particular to promote weight loss or fat burning. While there are some benefits to many of the products listed here, one of the biggest problems is the method in which they're marketed and sold. Find a quality brand, such as NOW Foods, Jarrow Formulas, or AI Sports Nutrition, that won't charge you an arm and a leg. That way, if you don't see any weight loss results, you won't be out a small fortune. A common side effect with any fat burner containing stimulants is a strong sensation of anxiousness, nervousness, and jitters. While this usually accompanies an energy spike that can help you get through a workout, some people find the sensation is too overwhelming and interferes with their ability to focus. Taking stimulants on an empty stomach can result in gastrointestinal distress, and diuretics cause water retention, which leads to heavy and frequent urination. One issue that comes up often is the loss of muscle concurrently with (or instead of) fat. This typically happens when you overlook proper diet and regular exercise. Diet is by far the most important component in shedding fat, and establishing a regular workout regimen is much more important than taking a supplement. The right supplement can accelerate your fat loss, but only if your diet and fitness are where they need to be. The FDA does not regulate fat burning supplements. They generally do not have a recommended daily allowance (RDA), except for the one set by the manufacturer. Always consult your healthcare provider before making changes to your diet, exercise, or supplementation routines. Fat burners can interact negatively with some prescription and over-the-counter (OTC) medications. Be sure to consult with a doctor to verify possible contraindications. You can find a wide variety of fat burning supplements, specifically products that are backed by solid science, here at PricePlow. Plus, you'll save 30% to 50% off of retail prices. This is our favorite fat burner by far. It's got an open label so you can see the ingredients and dose. Further, its ingredient composition and dosing is designed to be flexible so the product can be used at a low dose by a 100-pound woman, or scaled up for a 300-pound bodybuilder. You can get more information about this product from our full length review. ANS Performance's DIABLO is unique in that it's a fat-burning powder that you can drink. It combines the qualities of a thermogenic and a lipolytic with L-carnitine, caffeine anhydrous, and PEA for improved energy, mood, and focus. 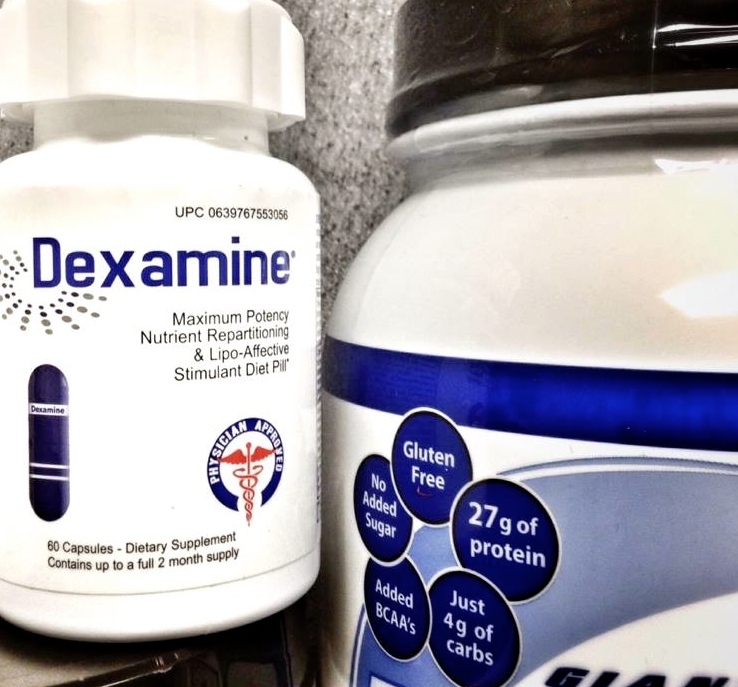 On their own, Dexamine is a powerful lipolytic and ThyroTwin is a potent thermogenic. They're designed to be stacked for maximum effect, however, and they cover all the bases when they do: fat mobilization, a metabolism boost that lasts even when at rest, improved energy and focus, and suppression of unwanted food cravings. A great choice for those who are stim-sensitive and want a lower-stim fat burner, ErgoGenix includes good ingredients at effective doses. What we love about this product is that each capsule has just 50mg of caffeine, so you can tailor the dosage to your liking. By far the best stimulant-free fat burner on the market — whether you're taking it alone or stacking it with a stim-containing fat burner. Burn 24 relies on incredibly in-depth scientific research for all of its ingredients. We always say there are no miracle fat burners. This is about as close as it gets with our current knowledge of how fat loss works. PEScience Alphamine Capsules was created. Genetech Pharma Labs Phenta-XT was created. Alpha Lion Alpha Shredder was created. Axe & Sledge Double Time was created. What is GBB (Gamma Butyrobetaine)? SYNMR's ProGBB Explained! SWFT Stims Lipostage was created. ProGBB is SYNMR's well-tested form of the carnitine-booster Gamma Butyrobetaine Ethyl Ester, more easily known as GBB! It may make you sweat though! EVLSports Giveaway: Win EVL’s NEW Fiber + Probiotic AND LeanMode! EVLSports #Giveaway time! This February, one lucky winner is going home with a tub of EVL's new Fiber + Probiotic and a bottle of LeanMode capsules! Ketologic FB 24 was created. Irwin Naturals Super System-Six Red was created. Metabolic Nutrition Insulean was created. Ignite Nutrition Shred-Up was created. Ghost Won’t Slow Down for 2019: What’s in Store for the Supplement Brand? Outlaw Laboratory TriTest was created. FinaFlex Keto Hydrate RTD was created. Insane Labz Diet Candy was created. Insane Labz Insane Cutz was created. Insane Labz Schizo was created. SteelFit Shredded Steel was created. SteelFit Steel Sweat was created. InnovaPharm Enduralean Stim-Free was created. Dark Metal Dope was created. Dark Metal Manson was created. Outlier Nutrition Taper was created. Outlier Nutrition Heatwave was created. Beyond Human Pure Raspberry Ketone was created. Beyond Human Green Coffee Bean Extract was created. Nature's Plus BioPerine 10 was created. Outlier Nutrition Shuttle was created. Killer Labz Exterminator was created. NiGen BioTech IsoDrene HCG was created. Military Trail Thermogenic Blast was created. SCITEC Nutrition Revex-16 was created. SWFT Stims CocoaButerol was created. MuscleTech Platinum 100% Garcinia was created. Psychotic Labz Slice & Dice was created. Cloma Pharma Labs Cocodrene was created. Irwin Naturals Super Citrus Lipo-Burner was created. DAS Labs Heat Fat Burner was created. DAS Labs Heat Fat Burner For Her was created. MaritzMayer Super Lean Spray 2500 was created. FemmeFit Rapidcuts Femme was created. Xenadrine PureXen Garcinia Cambogia was created. Steel Supplements Shredded-AF was created. Health Direct 24/7 Weight Loss was created. Blackstone Labs Arson was created. Elite Lean EliteLean was created. Betaine has always been a safe muscle-building supplement to add to creatine, but new research shows that it works for women and fat loss too! Zoller Labs Zantrex Red was created. Zoller Labs Zantrex Blue was created. VPX Liquid Clenbutrx was created. Dark Metal Thrasher was created. Body Performance Solutions Natural Burn was created. BPI Sports Niagenix was created. Olympus Labs BLOODSHR3D Black Magic was created. Merica Labz Uncle Bam was created. Per Vitam FitBurn was created. Anarchy Labs Shogun Undefeated was created. Blue Steel Labs Intense Burn was created. NTel Nutra Lipo-Shift was created. Redcon1 Waterboard is a diuretic supplement that has a few added stimulant-free fat-burning ingredients to increase thermogenesis and heat output! 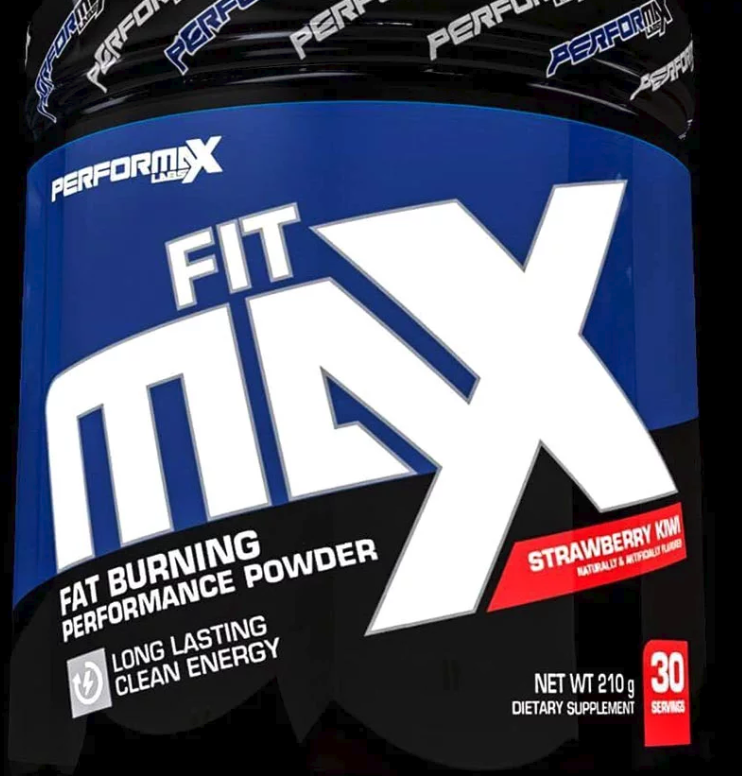 Performax Labs FitMax Powder Review: Nailed It! Performax Labs FitMax is a powerful fat burning drink, but oftentimes these don't taste so great due to the stims. Not here though!! Performax did it! Granite Supplements Thermo Burn was created. Controlled Labs Red Light was created. Inspired Nutraceuticals 3MB3R was created. GBB (Gamma-Butyrobetaine Ethyl Ester): Super Carnitine That Makes You Sweat?! Bio Nutrition Green Coffee Bean Extract with GCA was created. Nutrex Lipo-6 Dynamix was created. Black Market Labs Cuts was created. Enter to win one of three stacks from Apollon Nutrition that includes their 600mg caffeine pre workout Hooligan... and much much more!! Vibrant Health Metabolic Vibrance was created. Stacker Stacker 2 Diet Energy and Crave Control was created. Stacker Stacker 2 MicroDex was created. PEScience Alphamine Review: "The Athlete's Energy Drink"
Hypergenetic Labs Killer Bee's was created. Cloma Pharma Labs Red Wasp 25 was created. P2N by Amazon Burn Thermo Caps was created. ProMera Alpha Recovery Plus was created. Nature's Plus Ultra Fat Busters was created. Tri Pharma Garcinia Cambogia Ultra 1300 was created. BPI Sports Garcinia+Carnitine was created. BPI Sports Garcinia Liquid Water was created. Body Fortress Super Advanced Shred Igniter was created. Beast Black Series Stack Giveaway: Get Into Beast Mode! Get into Beast Mode with this giveaway from Beast Sports! 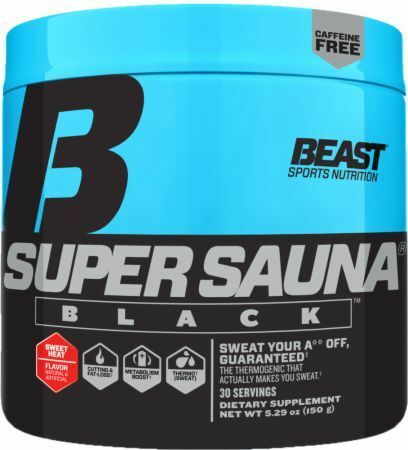 They're giving a Beast Mode Black + Super Sauna workout stack on PricePlow! Core Nutritionals Shred was created. Cellucor C4 Ripped Sport was created. Chaos and Pain Red Sky was created. MuscleTech Hydroxycut LeanX was created. 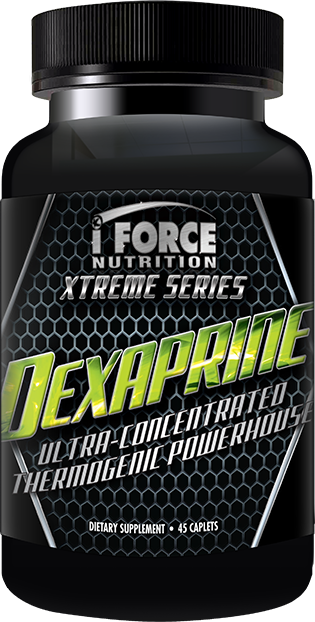 iForce Green Coffee Extract was created. EVLution Nutrition Garcinia Cambogia was created. KingFisher Media Thermo Fuel was created. MTS Nutrition Machine Lean was created. Beast Super Sauna Black was created. Zoller Labs Skinny Stix was created. Carter-Reed Relacore Fat Burning Kit was created. Furious Formulations Furious Cuts was created. IdealFit IdealLean Fat Burner For Women was created. Double Dragon En Fuego was created. Irwin Naturals Green Coffee Bean Extract was created. Granite Supplements Speed Force was created. To Go Brands Green Coffee Bean was created. Genesis Today Yacon Syrup was created. Accelerated Sport Nutraceuticals Yellow Burst was created. Zoller Labs Zantrex Black was created. Cenergy Nutrition Metabolic Xtreme was created. High Performance Nutrition M(6) was created. PureGenix Garcinia Cambogia+ was created. True Performance Nutrition Raspberry Ketones was created. True Performance Nutrition Ripped was created. Nubreed Nutrition Heliotropin was created. Nubreed Nutrition Phantom was created. Rise Performance Burner Metabolic Igniter was created. Redcon1 Double Tap Powder was created. Performax Labs Super Bowl Contest: Win the New FitMax! Pick the winner of the Super Bowl this Sunday and be entered for a chance to win a a tub of FitMax fat-burning, energy drink from Performax Labs! #ContestAlert! Enter for a chance to win on of three stacks of EVL's ENGN Shred and Lean Mode for a fat fighting pre workout combo, only through PricePlow. Blackstone Labs ViperX was created. Professional Supplements Vexacore Heat was created. SAN Tight! Original was created. Celsius CELSIUS On-The-Go Packs was created. Celsius CELSIUS RTD was created. BPI Sports CLA + Carnitine was created. Black Skull SexyBony was created. Black Skull M.F. Booster was created. MuscleSport Thermal Revolution was created. SportsResearch Green Coffee Bean Extract was created. Eat the Bear NaturaLean was created. Core Nutritionals Burn was created. USN Hypercut Thermo XTS was created. Rari Nutrition Lean Genes was created. MAN Sports Sweat Compound was created. Blackstone Labs Paraburn was created. StrongGirl Smart Weight Loss was created. Genomyx Alpha Yohimbine was created. Human Evolution Supplements Core Burner was created. USN Hyper-Cut Lipo XT was created. 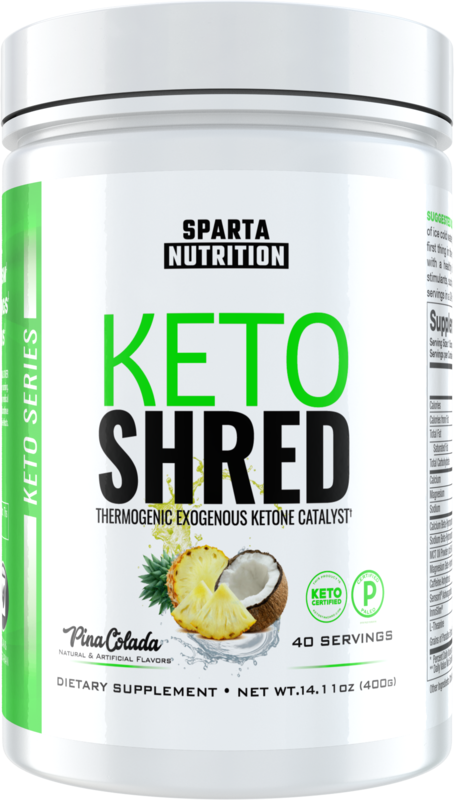 Sparta Nutrition Keto Shred was created. Lecheek Nutrition Warning was created. Lecheek Nutrition Gone was created. EPG Blue Ice was created. Pump Chasers Cuts FTS was created. SWFT Stims Higenamine was created. 4 Dimension Nutrition Triple Garcinia was created. Six Star Thermogenic Shred was created. Pharma Legal Labs Methilean was created. Pharma Legal Labs Ephedrastim was created. Outbreak Nutrition Reclaim was created. RAW Synergies Thermo Vitality was created. RXS Supplements Radiate was created. Gaspari Nutrition Arson was created. RAW Synergies ThermoPre was created. MaxQ Nutrition Capsilean was created. Force Factor LeanFire Ultimate was created. Force Factor LeanFire XT was created. Performax Labs OxyMax was created. Evogen Lipocide IR was created. Adaptogen Science FURIAN Xtreme was created. American Metabolix Exile Super Shock was created. BulkSupplements Raspberry Ketones Powder was created. Ancient Nutrition KetoFIRE was created. MHP Super Fat Burner+ was created. Olympus Labs Re1gn DRAGON MIST flavor is getting recalled due to an overwhelming number of reported side effects, including nausea and vomiting. Primeval Labs Hurakan was created. Optimum Nutrition Opti-Fit Fat Burner was created. Betancourt Lean Juice was created. NTel Nutra Clenadrol X Black was created. NTel Nutra Valkyrie Burn was created. Black Market Labs Fierce TONE was created. TLM Research Hazmat was created. DMHA is HERE. Known as 2-aminoisoheptane, Octodrine, and 2-amino-6-methylheptane, this stimulant has about 80% of DMAA's strength and is here in 2016! Eria Jarensis Extract / N-phenethyl dimethylamine: The Next Big Thing? Hi-Tech Pharmaceuticals Black Piranha was created. Condemned Labz Arsyn was created. iForce Raspberry Ketones was created. Cellucor Super HD Ultimate was created. NTel Nutra Clenadrol X was created. MuscleTech Hydroxycut Super Elite was created. Jacked Factory NitroSurge Shred was created. Jacked Factory Lean PM was created. Jacked Factory Lean-XT was created. Jacked Factory Burn-XT was created. Psycho Pharma Hottie Assist was created. Granite Supplements Lipocalypse was created. Lipodrene Elite Review: Fat Burner with COCA by Hi-Tech Pharma?! LeanMode by EVL Nutrition is an all new powder-based version of the brand's popular stimulant-free weight loss supplement. Low-fat dieters check in! Cellucor Super HD Razor was created. 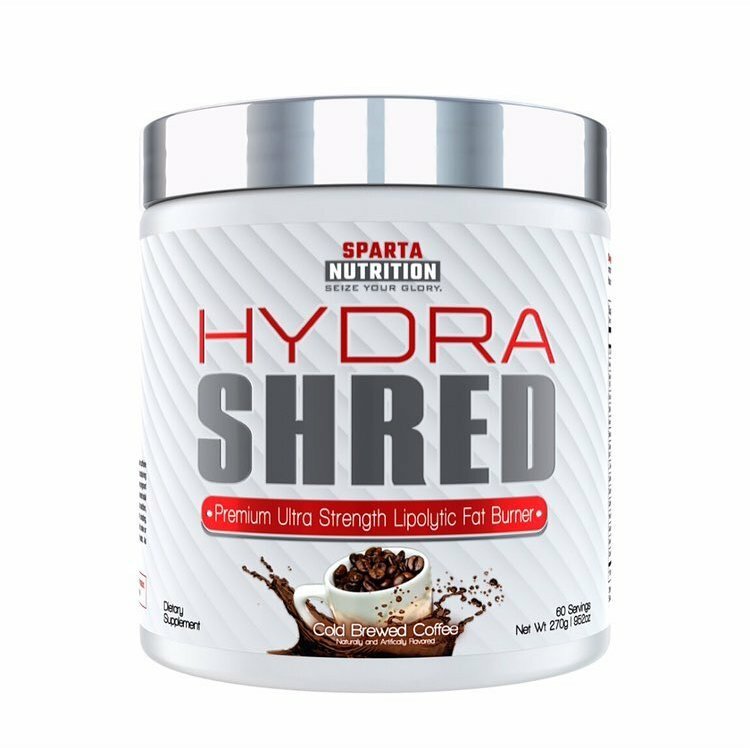 Sparta Nutrition HydraShred was created. Blackstone Labs King Cobra was created. Apollon Nutrition Chaos was created. Body Performance Solutions Control was created. SNS Lean Edge is a prime option for those seeking a stimulant free, fully dosed fat burner with ingredients initially seen on shows like Dr. Oz. AI Sports Nutrition Garcinia with Chromium was created. SNS Alpha Yohimbine is the gold standard of the various yohimbine extracts for long-lasting energy and improved fat burning. Hi-Tech CarniSlim – Weight Loss Carnitine for Everyone! Hi-Tech released a new stimulant free fat burner called CarniSlim that touts FIVE different forms of CarniSlim for weight loss! Higenamine BANNED by WADA for 2017! Higenamine is banned by WADA! The 2017 banned substances list is out and it includes the common popular stimulant also known as Norcoclaurine. Advanced Molecular Labs is an up and coming supplement brand developing products led by one of the industry longest tenured gurus, Steve Blechman. Blue Star BLADE Review | Intense Fat Burner that WORKED! AML Power Rep: Boost Workouts with Peak ATP and More! AML Power Rep is a unique stackable pre workout from Advanced Molecular Labs capsule powered by the new wave muscle builder PeakATP. Gaspari Nutrition has been bought by Hi-Tech Pharmaceuticals! Two kings of the supplement world, Jared Wheat and Rich Gaspari, finally ride together! Methylsynephrine is now on the FDA's radar, as they have sent out warning letters to supplement companies stating that it is not a legal ingredient. Magnum After Burner is here, and it's a stimulant-free fat burner help you burn fat while you sleep AND help you sleep better! Stack with Carne Diem! Magnum Carne Diem – Seize the Fat Loss! Carne Diem is the newest non stimulant fat burner from Magnum Nutraceuticals that puts a truly unique spin on carnitine supplements. Performax Labs unveils the latest version of the popular all-natural muscle building supplement AlphaMax XT. Myokem released a new stimulant free fat burner called Thyrovate that uses several new herbal extracts to improve weight loss and suppress appetite. The Suppz Swag Bag is like a Jacked Pack but better. For $14 you get a ton of extra stuff with your order at Suppz! I review my Swag Bag here. 360Amino Energize is an all natural, sugar free energy amino drink with no artificial dyes from 360CUT. HellFire EPH 150: The Most Ephedra You Can Get! HellFire EPH 150 is an ephedra-based fat burner from Innovative Labs that has a whopping 150mg ephedra extract and 150mg caffeine! Can you handle it? Forskolin is a stimulant-free weight loss ingredient that comes from the coleus forskohlii herb. We discuss forskolin supplements and their benefits! HydroxyElite – OxyELITE Pro Clone *with* DMHA!!! 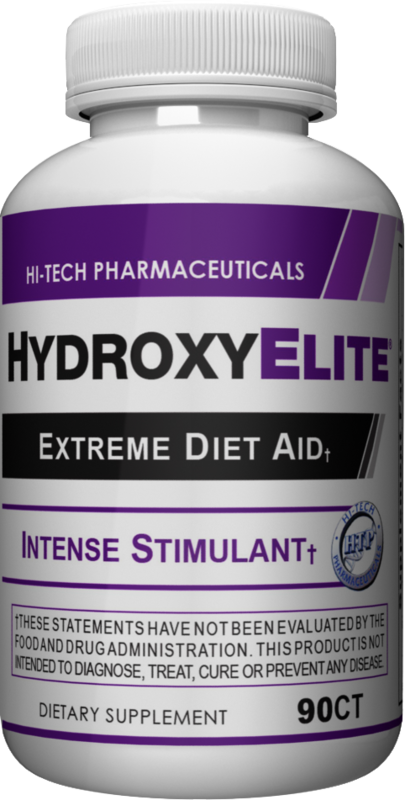 Hi-Tech Pharmaceuticals has released HydroxyElite, which is basically an OxyELITE Pro replacement / clone that INCLUDES 2-aminoisoheptane (DMHA)! LG Sciences Bought by Hi-Tech Pharmaceuticals, DHEA that WORKS to Come? Forskolin-95+ by PEScience: Increased cAMP abounds! Forskolin-95+ is the first in PES' new line of Superior Essentials products - high quality bulk ingredients! See why it's the best forskolin-95 out! Magnum THRUST – This Testosterone Booster has Everything! Magnum THRUST is a testosterone booster that we consider a "kitchen sink of manliness" - there are a LOT of testosterone boosting ingredients here! Sinetrol – A New Fat-Fighting Citrus? Sinetrol is a patented proprietary blend of citrus extracts that show promise in helping people lose weight. i-Supplements Coupon Code – Aggressive Deals at PricePlow! Looking for an i-Supplements Coupon Code? Too bad, because we have THREE of them! You can save 10% off sitewide or this 15% off ephedra coupon! Performix Ion – What’s All the Hype About? Performix Ion is a pre workout supplement with new delivery technology: Terra Beads. But with underdosed creatine / muscle-builders, is it worth it? There's a reason why dark chocolate is always touted for it's health benefits: a flavonol named (-)-EPICATECHIN. But can high doses help build muscle? The Cellucor CLK New Formula is on its way out, and will contain something known as SlimPro. What will this stimulant-free fat burner do for you? Cellucor has released the Cellucor Super HD New Formula fat burner, which comes with a new ingredient, Slimpro, designed to burn more fat than ever! NEON Sport's Thermo-Rev Fat Burner has been announced. This will be thermogenic with stimulants, and it will be logged here on PricePlow! Myokem does it again! Their new fat burner, Pyroxamine, has been getting a lot of love from its users...read on to find out what all the hype is about. Adipodex is Nutrex Research's next-generation fat burner, and is the first major supplement company to use AMP Citrate. See the ingredients here! Nature Sport Fat Burner is an all-natural, organic fat burner / weight loss supplement from the same people who brought you MusclePharm products! EpiBURN Pro, USPLabs' successor to the OxyELITE Pro fat burning franchise, has been announced. Stay up to date with Epi Burn Pro on PricePlow! The new OxyELITE Pro Advanced formula ingredients have been released, and appetite suppression is BACK in the famed fat burner product line! Check out the PricePlow newsletter, week of May 20th, 2013. We cover some new protein research and have a new contest for free green coffee bean! Mike and CJ throw down their review of MTS Nutrition's Drop Factor, the legendary fat burning weight loss pill from Marc Lobliner, pro bodybuilder! In the saddest news all week, reality trainwreck Farrah Abraham is now signed to endorse a raspberry ketones supplement, a combo of ALL awful things. What do women need to stay healthy, lose weight, or get in shape? Learn the kinds of diet concerns, vitamins, or supplements women should pay attention to. Colby Strunk gives his OxyELITE Pro Powder review - this is the 2013 US Version, based off of the new OxyELITE Pro formula from USPLabs. Super HD Powder Announced by Cellucor - Coming Soon! Super HD Powder – New Fat Burn Powder Coming from Cellucor! Super HD Powder, which will be a powdered fat burning drink mix, is announced by Cellucor! Super HD won SEVERAL 2012 awards, so this should be good. Delicious New OxyELITE Pro Powder Released to the US! USPLabs has released OxyELITE Pro Powder to the US! There's some new ingredient changes, making for energy, fat-burning, anti-fatigue, AND focus! Figure Competitor Lani Kawasaki: Fish ONLY for Protein Food! Sign up for future Fat Burner news! Click the button below to sign up for future Fat Burner news, deals, coupons, and reviews! 180 Capsules is on sale for $3.59 at DPS Nutrition! 60 Capsules is on sale for $19.99 at A1 Supplements – Buy 1 Get 1 FREE! 60 Capsules is on sale for $9.45 at Ruesco Supplement Outlet! Sign up for future Fat Burner deals and coupons! Click the button below to sign up for future Fat Burner deals, news, and coupons! Mar 09, 2019What is GBB (Gamma Butyrobetaine)? SYNMR's ProGBB Explained! Aug 23, 2018VMI Sports L-Carnitine 1500 HEAT Review: Feel the Heat! Jun 01, 2018PEScience Alphamine Review: "The Athlete's Energy Drink"
Feb 24, 2018Nutrex Gets Called Out | What If LIPO 6 Fat Burner Were Gone?! Jun 22, 2017Lipodrene Elite Review: Fat Burner with COCA by Hi-Tech Pharma?! Aug 02, 2016Blue Star BLADE Review | Intense Fat Burner that WORKED! Mar 22, 2013Super HD Powder Announced by Cellucor - Coming Soon! Subscribe for more Fat Burner news and alerts! Subscribe to PricePlow on YouTube or click the button below to sign up for our latest Fat Burner news and reviews! 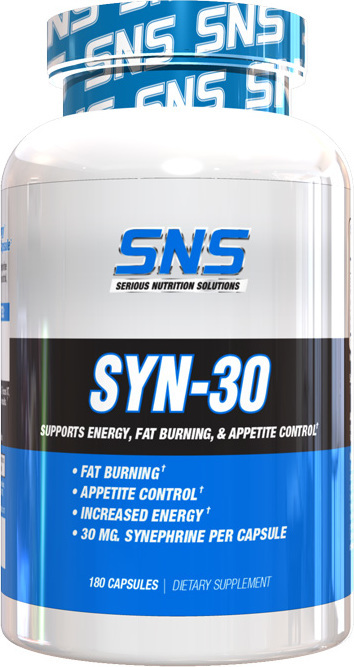 Feb 23, 2019SNS SYN-30 - 180 Capsules for $3.59 at DPS Nutrition! Feb 09, 2019MAN Sports Scorch - 168 Capsules for $10.95 at IllPumpYouUp.com! Nov 13, 2018Sparta Nutrition | Hydrashred Review | Which flavor ranks #1?!? 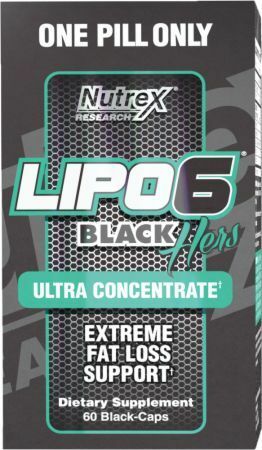 Aug 22, 2018Nutrex Lipo-6 Black Hers Ultra Concentrate - 60 Capsules for $9.45 - $19.99 at Ruesco Supplement Outlet! Aug 06, 2018RXS Radiate Sale Through End of Week. 2/$39.99! Mar 21, 2018Myokem Pyroxamine - 60 Capsules for $13.34 at i-Supplements.com! Feb 24, 2018Nutrex Get's Called Out | What If LIPO 6 Fat Burner Were Gone?! Dec 26, 2017Nutrex Lipo-6 Unlimited - 60 Servings for $9.52 at eSupplements! Nov 13, 2017RXS Supplements Radiate - Both flavors! Nov 06, 2017Super HD Powder Announced by Cellucor - Coming Soon! Sep 26, 2016Olympus Labs BloodShr3d: Finally a REAL Fat Burning Drink! Sep 22, 2014DMAA Supplement List – What's Still Available in 2017? If you were a fan of the original OxyELITE Pro, then you're going to LOVE HydroxyElite! This is the ONE fat burner on the market that still has DMAA! $31.46 This is a Buy 1 Get 1 FREE offer! $3.59 This is a Buy 1 Get 1 FREE offer! $9.45 This is a Buy 1 Get 1 FREE offer! $31.49 This is a Buy 1 Get 1 FREE offer! The Thermogenic That Actually Makes You Sweat! $28.34 This is a Buy 1 Get 1 FREE offer! Advanced Forumla For Fat Loss & Appetite Control! 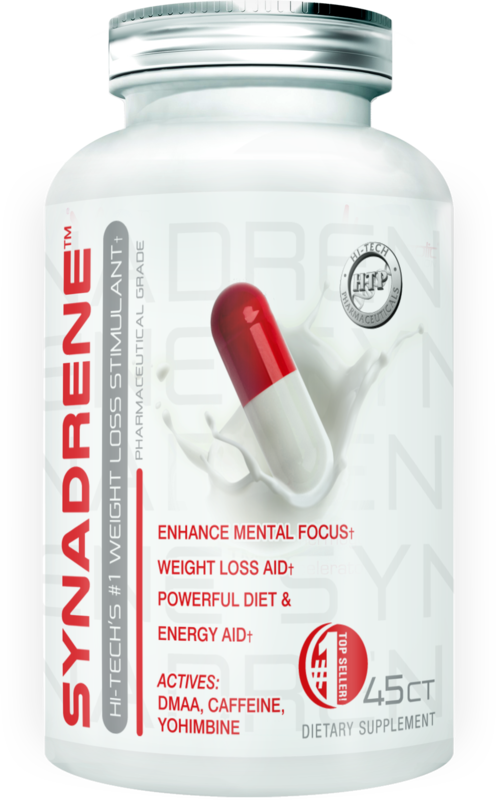 Lipodrene Xtreme contains Hoodia-Pure™ brand of Hoodia Gordonii extract (the most powerful appetite suppressant available. $29.88 This is a Buy 1 Get 1 FREE offer! 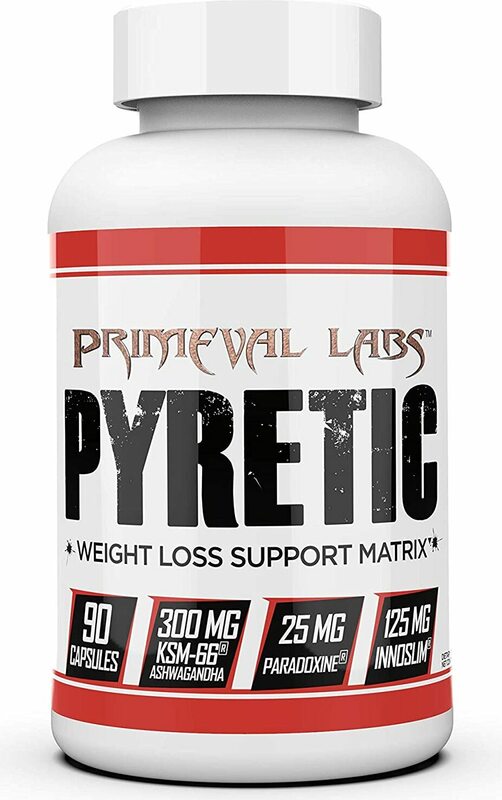 Pyretic is this year's hottest new stimulant-free fat burner. With a new energy-enhancing ingredient, ITTP, Pyretic a must-try this diet season! $31.11 This is a Buy 1 Get 1 FREE offer!